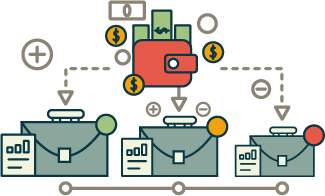 Connecting Businesses and Customers. Creatively. Using social, digital and traditional marketing assets, we develop platforms and strategies to connect businesses and customers. 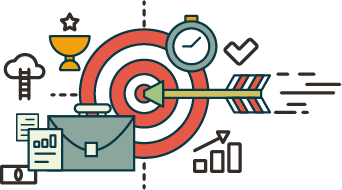 Providing an independent perspective of your organization and identifying opportunities to fine-tune your marketing operations. At TLC Marketing Consultants we bring 50+ years of sales and sales management experience to provide you a real-world perspective. We also understand the need for training to be hands-on and practical, and not distracting your team from daily responsibilities. US consumers spend almost a third of their time online with social media. Let us help you understand which social media channels your customer uses, and how you can engage with them through social media and relevant online content. The digital landscape is ever changing with new opportunities to place your message in front of potential customers. 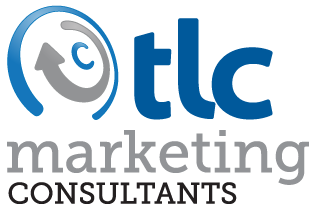 TLC Marketing Consultants will help you craft your digital marketing strategy and manage your marketing campaign. Good planning, creativity and core messaging in press efforts attract positive media attention and engagement, which contribute to a successful public relations campaign. TLC Marketing Consultants brings 90 plus years’ hands-on, senior-level experience in events and sponsorships with the music, entertainment, professional sports and media industries, which uniquely separates us from most competitors. With 50+ years of experience in media planning and buying in the Kansas City market, TLC Marketing Consultants will help you navigate the complexity of the multitude of media options to match your message with your potential customers. Websites are the foundation of a business’ online presence. Your website is your virtual storefront and many times the first impression that you make with a potential customer. Let the experienced, creative boutique firm of TLC Marketing Consultants provide you with expertise in all areas of marketing, with a strong focus on the burgeoning world of social media. We connect businesses to their target customers. Creatively. We are a boutique, creatively driven marketing firm that connects local businesses to their customers, by serving as overall marketing consultants to those who may not be able to afford a high-level CMO, VP of Sales & Marketing, or Marketing Director. We believe that identifying who your customer is and what your customer cares about as it relates to your business is the catalyst to success. Then surround those customers with great ideas, messaging and offers at the right time to build your business to your target level. This firm began with the concept that high-level marketing acumen and experience should be affordable to key decision makers in the local business marketplace. We applaud the entrepreneurial spirit of the local business while helping them grow to a desired level of success. Our robust marketing solutions are based upon our client’s business needs: we provide customized, strategic marketing plans. Our marketing experience crosses all media- broadcast, radio, outdoor, print, and direct mail. We have expertise in the vital and emerging solutions in digital marketing, including search engine marketing, search engine optimization, responsive web design, display, video, and the ever expanding digital channels. We place a strong emphasis on social media marketing, including content creation, content management, and blogging. We have a strong focus on the growing world of social media and will be your company’s voice within the appropriate social media channels for your business. As your social media consultants, we are here to advise you on which social media channels your customers utilize, what information they are seeking, and how you can connect with them and create meaningful conversations. We will be your voice on social media, crafting meaningful posts, monitoring conversations and responding to your customer’s feedback. To learn more about TLC Marketing Consultants social media offerings, click here.